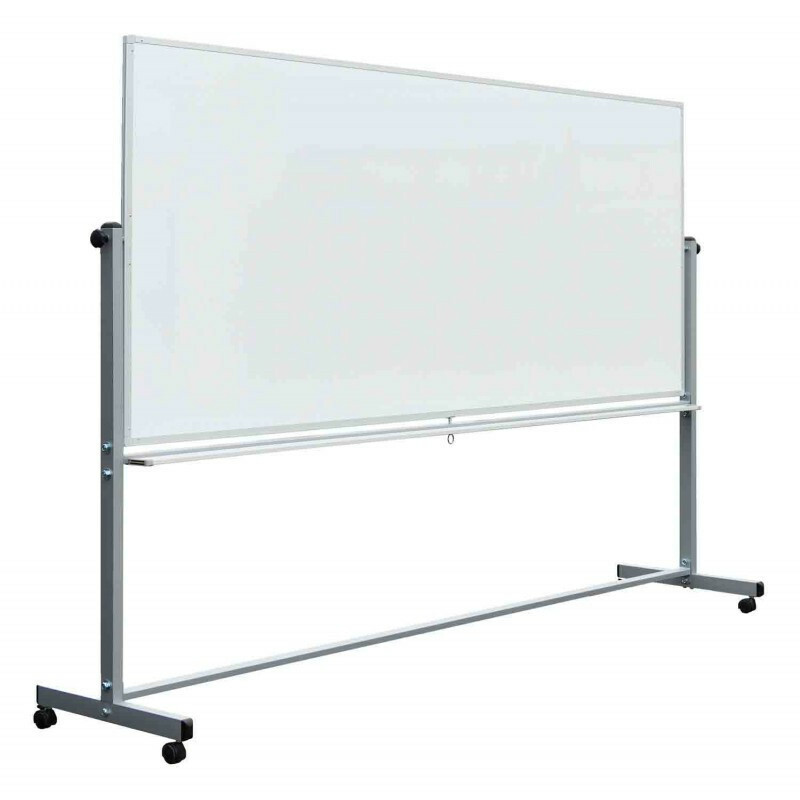 Luxor's MB-Series whiteboards double the writing space and provide the mobility needed in a fast paced and ever-changing environment. 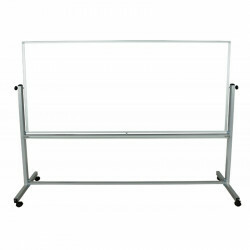 The steel frame's slender footpring is ideal for both a professional appearance and a conservative space. When your board is ready for use, locking brakes and side knobs steady the frame for writing or presenting. 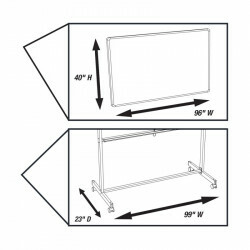 To display additional charts, photos, etc., allow the magnetic surfaces to operate as a bulletin board. 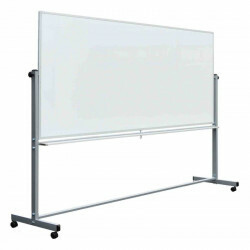 The traditionally shaped boards is well-suited for any school or business with conference areas, classrooms, and shared spaces. Easily flip the reversible board for twice the writing area. Magnetic surfaces allow users to dispaly papers or posters. 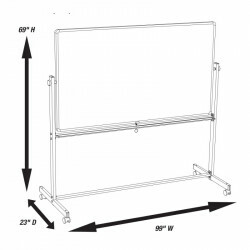 1" aluminum frame gives professional and clean appearance. Take advantage of great mobility with four casters and two locking brakes. Full length marker/eraser tray provides ample room for board materials.